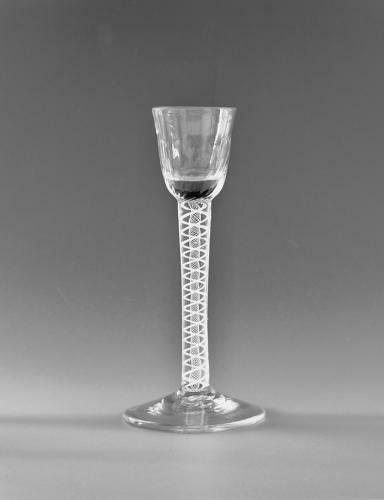 Double series opaque twist cordial glass. Round funnel bowl with solid base and moulded basal flutes. Plain conical foot. English C1760. Condition: Very good with no chips, cracks or restoration. There is an inclusion in the stem approximatel 2 cm below the bowl and the stem has a very slight lean.